Eric Lomax was one of thousands of Allied prisoners of war forced to work on the construction of the Thai/Burma railway during WW2. His experiences, after the secret radio he built to bring news and hope to his colleagues was discovered, left him traumatized and shut off from the world. Years later, he met Patti, a beautiful woman, on a train and fell in love. Patti was determined to rid Eric of his demons. Discovering that the young Japanese officer who haunted her husband was still alive, she faced a terrible decision. Should Eric be given a chance to confront his tormentor? Would she stand by him, whatever he did? What was Patti's role in Lomax's journey towards peace? Why couldn't Eric talk about his war experience? What makes PTSD so debilitating? What biblical stories does this movie remind you of? Why did you think Finlay decided to wake up Eric the way he did? 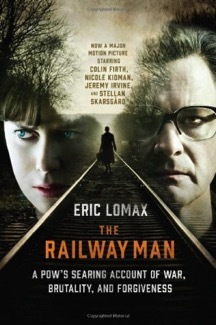 What are the similarities and differences between "The Railway Man" and "To End All Wars"? What is the significance of the bridges that appear in key scenes? Why did Takeshi say that Eric's visit was a dagger to his heart? Why did Eric not kill Takeshi as he had intended? Reconciliation between torturer and victim seems so unlikely. What were the steps needed by both Nagase and Eric for their unlikely coming together to occur? What experiences of reconciliation have you experienced or have heard/read about? How can they give us hope?